Sugar continues to be a hot topic in the nutrition world. I often hear people declaring they are going ‘sugar-free’ because of its apparently toxic qualities. But what does sugar-free actually mean? Added sugar-free? Or all sugars? Are they abandoning fruits and other foods with natural sugars? Is there really a difference between natural and added sugars? 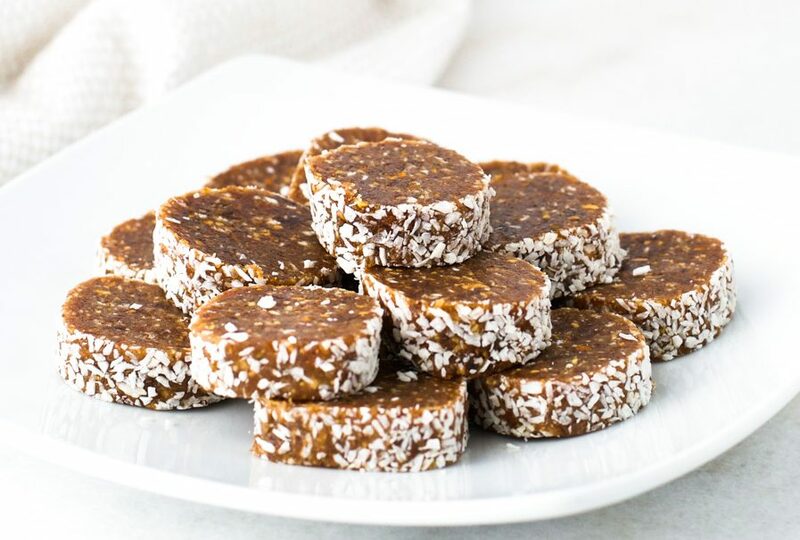 And why is it ok to eat these high sugar 3-ingredient date bites? Perhaps I can shed some light on this issue. Sugar itself is not an inherently dangerous substance. The problem is that it adds calories to our food without adding nutrients. Eating too much of it can lead to an unhealthy diet, weight gain, obesity, diabetes, non-alcoholic fatty liver disease, cardiovascular disease, certain types of cancer, and tooth decay. Natural sugars are those found naturally in foods like fruit, vegetables, and milk. They are intrinsic in foods that also contain plenty of healthy nutrients, like fiber, vitamins, minerals, and phytochemicals. When you eat these foods, the other components slow down the movement of the sugar into your blood stream, and provide other health benefits. There are no restrictions on eating natural sugars. That being said, it is not advisable to eat bucketloads of fruit everyday. It is still possible to eat too many natural sugars. But because the potential adverse health effects are not as grave as with added sugars, the authorities don’t put any limit. If you are interested, you can find out here how much fruit you should be eating each day. 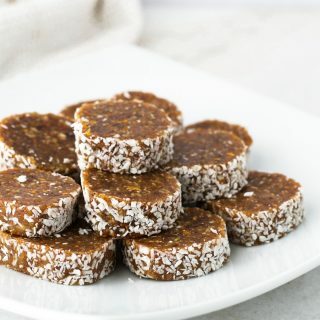 So why is it ok to eat these high sugar 3-ingredient date bites? 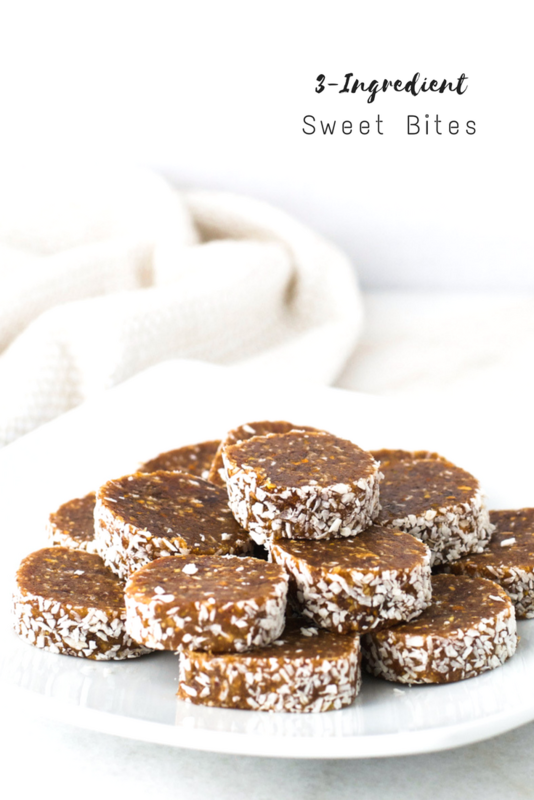 These little treats are made with dates, nuts, and coconut. There are no added sugars. The dates make them high in calories and sugar, because 65-75% of a date’s weight is sugar. But the difference between this sugar and a spoonful of table sugar is that the sugar in dates comes with lots of other healthful nutrients. Dates are high in fiber, have a low glycemic index, and are very rich in minerals, including calcium, magnesium, phosphorus, potassium, iron, zinc, and selenium. They are also a good source of the B-complex vitamins and are packed full of phytochemicals. Table sugar, on the other hand, is nothing but molecules of sugar. 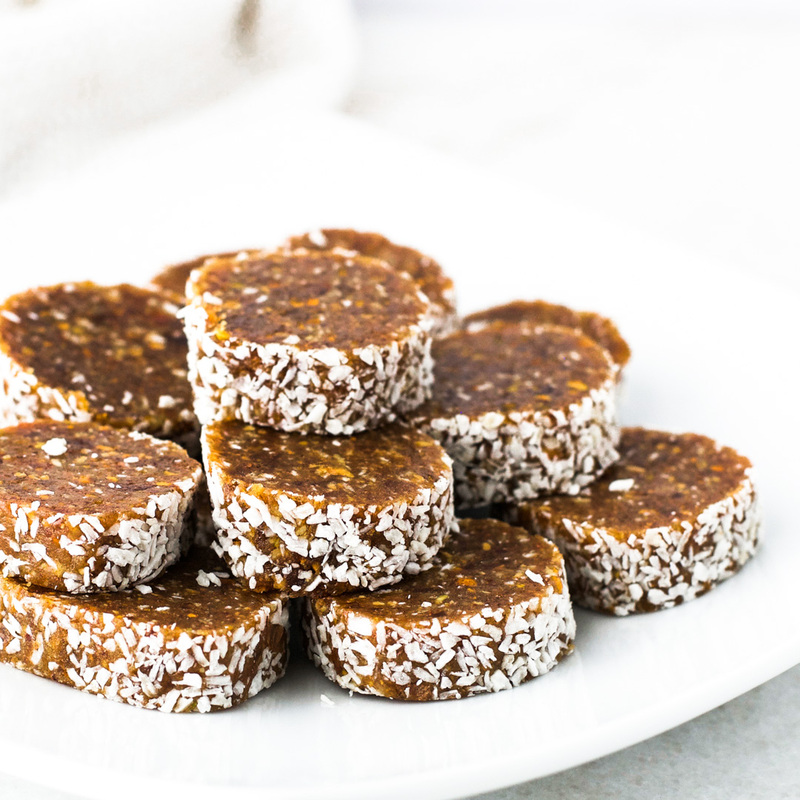 And while you should still exercise moderation with these 3-ingredient date bites, the overall effect is far more nutritious than eating a snickers bar. 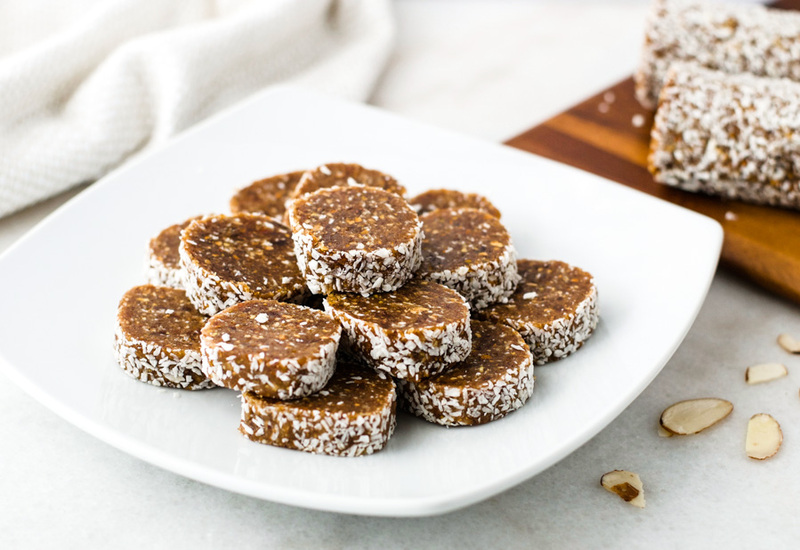 These 3-ingredient date bites made with dates, nuts, and coconut, are a nutritious way to add a little sweet treat to your day. Preheat oven to 300F (160C). Lay nuts out on a baking tray and place in the preheated oven for 10 minutes. Remove nuts from the oven. Remove the pits from the dates and place in a food processor with the nuts and coconut. Pulse until finely chopped and the ingredients form a ball. If they do not stick together, add 1 tsp water to the mixture. Remove mixture from the food processor and roll into a long sausage shape, about 1.5" diameter. If it sticks to your hands, slightly wet your hands before rolling. Sprinkle 2 tbsp coconut on the counter and roll the date log into the coconut until coated all over. Place on a freezable tray and pop in the freezer for 30 minutes. Remove from the freezer and slice into discs. Store in the fridge for up to 1 week, or in the freezer for up to 3 months (I like to eat them straight from the freezer so I keep mine there). So tasty, so sweet, so very good to eat – thank you for posting – delicious … and nutritious!